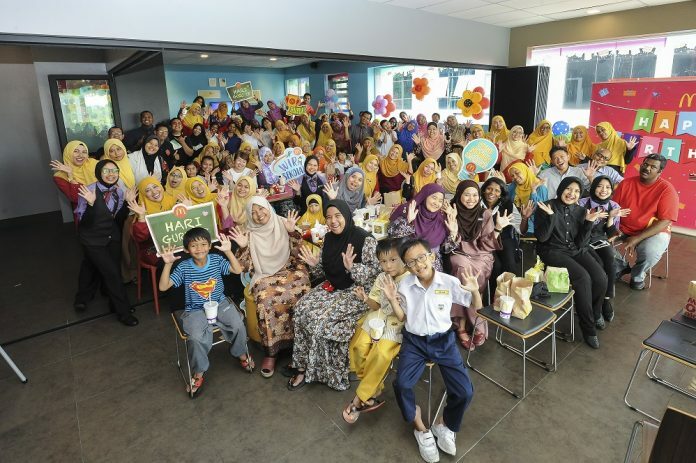 McDonald’s Malaysia accords 25 teachers from across Malaysia the Anugerah Guru Inspirasi McDonald’s 2018, an annual award that is presented in conjunction with the national Teacher’s Day celebrations. This is the second time the awards programme is organized and the response was overwhelming with more than 3,000 nominations received – easily surpassing last year’s nominations by three times. As a recognition of the overwhelming response, at least one teacher from each state was chosen, bringing the total number of deserving winners to 25 in comparison to last year’s six. McDonald’s Malaysia Managing Director and Local Operating Partner, Azmir Jaafar, says the award is aimed at recognizing and rewarding teachers who have performed their tasks as educators beyond the call of duty and positively impacted the lives of their students and the community. “The teachers are recognized for their ability to inspire their students and make a difference in their lives. They have either managed to change the students’ mindset towards becoming better individuals, help improve their academic performance or raise their self-esteem and confidence level. 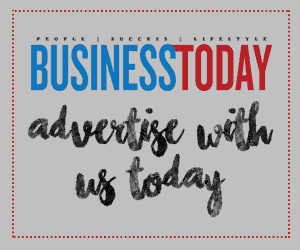 The awards program is our way of showing our appreciation and recognition to the deserving teachers for going the extra mile and having been the beacons of hope to their students,” Azmir says. 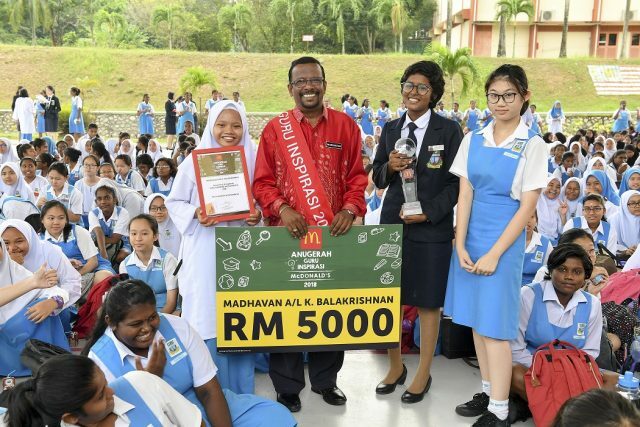 Each of the 25 winners received RM5,000 in cash, a trophy, sash and certificate of recognition at a ceremony coordinated with their respective schools in conjunction with this year’s Teacher’s Day celebration. Nominators, mostly students, were also acknowledged for their contribution with RM200 worth of McDonald’s gift certificates. McDonald’s Malaysia is also hosting Teacher’s Day party at all of its 271 restaurants nationwide. At the celebration, teachers are entertained with games, a photo session and refreshment. The purpose of the party is to recognise them of their dedication in nurturing our nation. Worry Wrinkles or Laugh Lines?